Have you enjoyed one too many California wine tours? If so, head to the Central Coast where Allegretto Vineyard Resort has recently introduced a distillery tour and mixology class package. 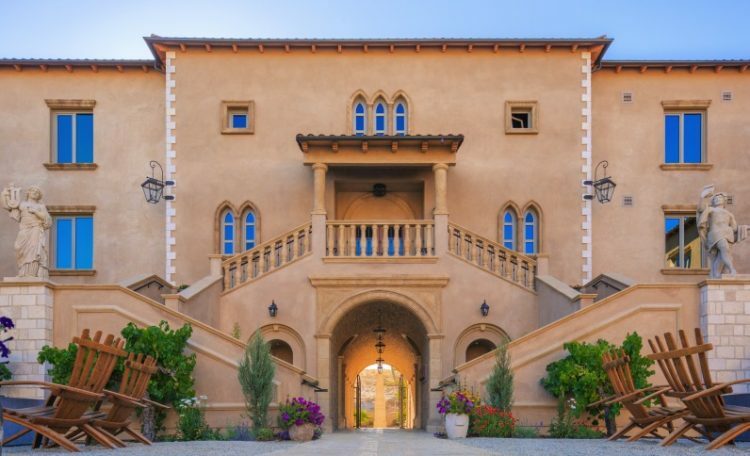 Located in Paso Robles amongst 20 acres of vineyards and fruit-bearing orchards, the Mediterranean-inspired resort is offering guests the opportunity to see how they’re using the surrounding region to create spirits with local ingredients. The three day, two night experience begins with a behind-the-scenes tour of three Central Coast distilleries, including lunch with a twist plus luxury transportation. Guests will learn to whip up their own cocktails from an award-winning mixologist who will instruct how to use fresh, local ingredients and spirits. The cocktail experts will learn how to use the resort-crafted elixirs, syrups, dried fruits and herbs to elevate their unique cocktails. After a day of mixing and sipping, Chef Justin Picard will create a four-course dinner using ingredients from The Chef’s Garden. Inspired by wine country and European hospitality, Allegretto features 171 guest rooms and suites, a tasting room with the resort’s own private wine label, a full-service boutique spa, a pool and cabanas, the Cello Ristorante & Bar and more. The distillery tour and mixology class package starts at $1,600 for two people, depending on room type and season and are exclusive of tasting fees and tips.